Radial Keratotomy (RK) is a procedure to correct nearsightedness. The procedure included manually flattening the corneal surface to reduce the refraction of light rays passing through cornea in myopic eyes. However, the problems with the procedure are more than its benefits in many patients. The procedure was widely used before the advent of more technical options that are available today. 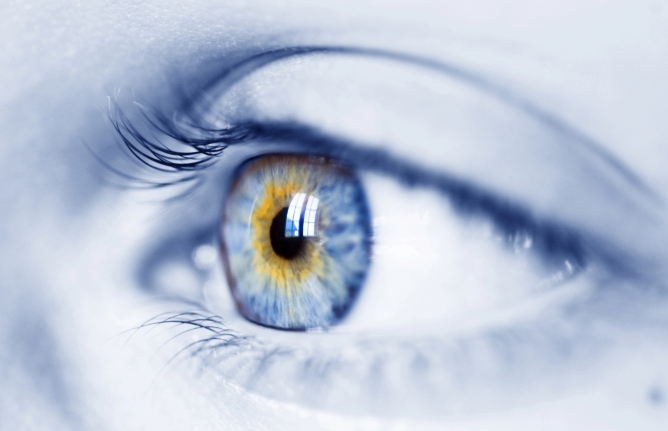 The patients who went through the RK surgery usually experience visual disturbances and need management of the complications caused by RK surgery. The correction of side effects caused by RK requires the patients to use glasses, lenses with eye drops, and medication too depending upon their individual case. Patients undergoing RK procedure frequently complain of pain, glare, visual disturbances etc. They might be temporary in some cases, but are reported to be long standing in many cases. In under corrected cases, the myopia persists and the glasses for fixing nearsightedness are required. Although they’ll be less diverging than the one used prior to the procedure as the nearsightedness will be partially fixed by the RK procedure. Over-correction means that the condition which was once nearsightedness is now on the side of farsightedness. These patients need converging lens glasses to have a clear vision of far objects. As the RK procedure is a manual, chances of error and irregularities on cornea caused during the surgery are high. These irregularities can result in astigmatism. The astigmatism correction needs glasses with cylindrical lens to correct the astigmatism along with spherical lens for nearsightedness or farsightedness in the patient’s eye. The RK incisions can swell at a given time in day or can be flat. Depending upon the condition of cornea, the refraction may differ and thus the vision too. Although this might be temporary in most patients during the healing phase only, they still need assistance through eyeglasses in that phase. Different pair of glasses for each time of day is ideal for such patients so that they can carry on normal routines during all times of the day. If you had RK surgery and are now suffering from post RK complications, consult with Dr. Irwin Azman, Post RK Specialist, for a complimentary telephone consultation. Dr. Irwin Azman is one of the pioneers of the Post RK | LASIK | PRK patient. With over 25 years of experience in the management and treatment of the Post RK patient. Together with his knowledge and experience Dr. Azman is able to prescribe each patient with the proper solution in resolving their Post RK complications, including starburst, glare, dry eye, and other RK complications. This entry was posted in Glare, Halos, Post Lasik Dry Eye, Post LASIK, PRK, and RK Problems, Scleral lenses, Starbursts on January 22, 2015 by Post LASIK Doctor.